Eager To Help You With All Your Garage Needs! We do it all—garage door repair, installation and maintenance. With over 20 years of experience, we’ve worked on thousands of garage doors of all models and types. Our passion shines through all our projects and quality of care. We’re committed to providing our customers in Wake Forest, NC with the highest level of service by offering fast installation and providing comprehensive maintenance and repair services. Whether you’re repairing a broken garage door, upgrading your garage door opener or enhancing your home with a new garage door style, you can count on Garage Door Specialist. We get it right the first time, setting the bar high. 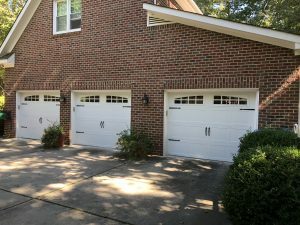 Homeowners and businesses alike trust us to help with their garage door needs in Wake Forest, NC. See for yourself by reading real customer reviews from satisfied clients. Schedule a FREE, no-obligation home estimate by calling us at (919) 841-0030 or filling out our online contact form today!